Barrett shot 11 of 19 from the field and made key free throws down the stretch to finish with 30 points and five rebounds to lead Duke, which was without injured point guard Tre Jones. 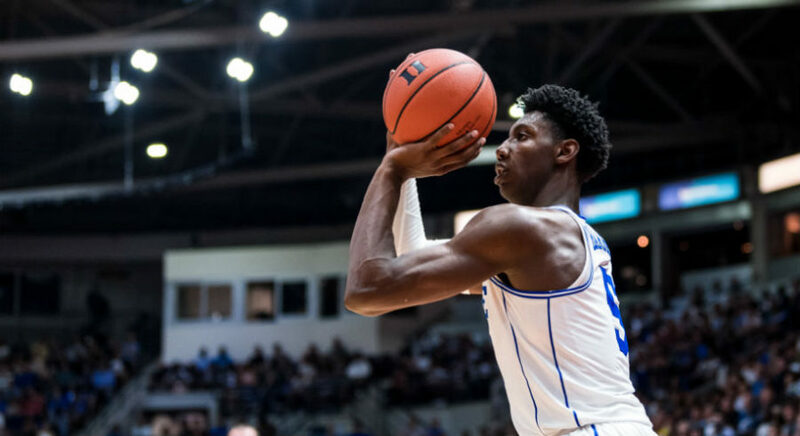 Williamson added 27 points on 10 of 16 shooting to go with nine rebounds, while Cam Reddish had nine points and eight boards for the Blue Devils (15-2, 4-1 Atlantic Coast Conference) who bounced back from an overtime loss to Syracuse in the week. DeAndre Hunter scored 18 points, and Ty Jerome and Kyle Guy each had 14 for Virginia, which won 16 straight entering this game. Braxton Key added 11 points and six rebounds and Guy also grabbed six boards for the Cavaliers (16-1, 4-1) who shot 52.8 percent from the field in the defeat. Duke shot 51 percent from the floor and 12 of 19 from the field for 63.2 percent in the second half. The encounter, which was a battle right down to final moments, had 14 ties and 15 lead changes.